It’s a touchy topic and one that is usually only debated on publicly by the fans. Sure, some may talk about it privately in staff boards or even directly behind the scenes between webmasters, but the fact remains that rivalries exist in the fan site community and can be a good and a bad thing. In many ways Zelda Informer exists today due to a rivalry we created. While fences have been “mended”, new things arise every year to remind everyone that while we play nice, we still really only care about “our sites”. It’s a harsh world and while I really do enjoy what other fan sites provide, the fact remains there is always “something” that makes sites inherently compete against each other. I try to avoid broaching rivalries amongst sites for many reasons, but it’s been awhile since I really thought about it and that may be why it was so shocking to me to see some recent comments on a particular post bring up the “fans” feelings towards other sites. Some are accusing Zelda Universe, as an example, of stealing our news. For starters let me squash that right now: Yes, its’ true we generally post about a lot of Zelda stuff before most other sites out there. It’s also true that there isn’t a lot of Zelda stuff to report on every day – so if your trying to keep your site active chances are a lot of posts are going to be similar within the same community. It actually prides me that, potentially, other sites are getting their news form us. Sure, we may not get credit and really credit isn’t due, but I understand the sentiments. People at least seem to perceive we’re the best with “zelda news”, so they will be passionate. That doesn’t mean their isn’t some circumstantial evidence to support fans ideals about sites stealing our material. Compared directly it appears we are really getting our news taken. We posted about the SS toys at the London Toy Fair on the 2nd – ZU posted it on the 4th. ZU posted about game prices for the 3DS today – we sort of posted about them yesterday as the news came from a video we posted from Game Trailers. There are plenty of examples the other way around. ZU posted about Dark Link statue a week before we did (grant it, we did time our post for the day of release, but I still discovered it at ZU first). ZU posted some news they found at Kotaku about a DS case (I didn’t even read their post, I saw the picture and instantly knew where it came from because I had seen it myself many days ago at Kotaku and for some reason didn’t post it) that we didn’t cover at all. You can try and argue ZD is the same way, but they handle news differently. The point here is that “borrowing” news is going to happen. As much as we may be a “resource” for our fellow rival sites, they are a resource for us as well. I check all of our affiliates daily for snippets of Zelda stuff we may have overlooked. Is it wrong? Hardly. If it’s wrong to post about something you found on another fan site, then it must be just as wrong to post about anything else you find on any other site on the internet. Wait, if that’s wrong… then every gaming site that isn’t IGN and Gamespot must get shut down for getting news from other sources. Point here is that opinions are subjective, and while I enjoy the fact many people come to us first for news, it’s not wrong that others post stuff after we do. It comes with the territory. Now that I spent way too much time on a meaningless topic of a grander picture lets get back to the point: Rivalries exist for reasons known and unknown. ZU will always be our #1 rival for the simple fact that we despise how they run their forums, their site, and they are the direct cause of this site existing. This site was practically a “rebellion” against ZU. We may be friendly with them, but rest assured most of our overall opinions haven’t changed. We just don’t like ZU that much. Some of the people are fine, but the few ruin it for the whole it seems. At least, that is our opinion. I fully realize sites like ZU have to exist because every site caters to different flavors. Zelda Dungeon, even as we have advanced to being very friendly, is more of an example of a rivalry caused simply by directly competing. Be it for search rankings, walkthrough traffic, or whatever else comes. It’s well documented that ZD and ZI haven’t gotten along in the past for other reasons, but when you break it down to the core we’re rivals mostly because we’re both popular sites who want a leg up on each other and those other sites around us. Rivalries are good most of the time. Sure, sometimes debates rage on about “what site should of won what award” *cough ZU vs ZI for the News Lozzie cough*, or what site is better with this or better with that – and sometimes it gets heated. However, rivalries push sites to be better. Do you think we would of even put walkthroughs as an option in a poll last year for our future if it wasn’t for the success of the walkthroughs at Zelda Dungeon? The thought might not of even crossed our minds. Now they are in high demand and we are seeing a lot of progress on the back end. That is thanks to a direct competitor. That is really the best way to look at the community in general. It’s like Pepsi verse Coke – we all offer different flavors and at times may even heat up in personal feelings, but in the end we all need each other to make things better. We are a better site because of our rivals, and we hope they are better because of us – because if they are then that means we have a positive influence that goes beyond our website. I may not like ZU much, but they are why we are here. I may not always get along with Zelda Dungeon, but they are what push our quality standards. You may not like us, but that hate is what makes us work harder to win you over. I’m sorry to disappoint many who may have been wanting me to troll the mases (mases, get it!) or go off on one of my tirades of how we’re better than everyone else (hey, we really are! ), but that’s for you guys to get riled up over. Hell, we all want to talk about it seems: What’s your favorite fan site and why? 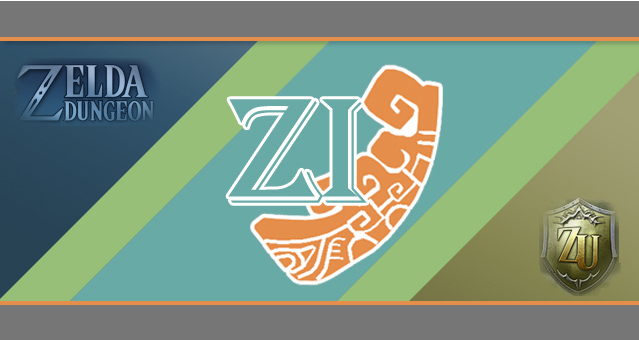 Maybe that’s silly asking fans of ZI to tell us your favorite place. Okay, tell us your LEAST favorite fan site and why. Yeah, that should definitely be entertaining.